Robotic satellites could approach and refuel friendly satellites… or meddle with unfriendly ones. The Department of Defense’s research and development arm is teaming up with NASA to create a new generation of satellites whose job will be to maintain existing ones. 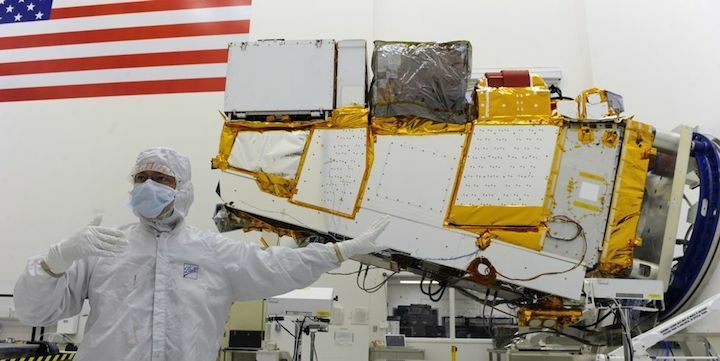 The new satellites, called “service stations in orbit” by The Washington Post, could extend the lives of billion-dollar satellites and fix minor maintenance issues, problems that are currently not possible. Such “service stations” however could also interfere with the satellites of adversaries. Satellites are a multi-billion dollar industry, and it’s no exaggeration to say that everything from the military to ordinary civilians rely on them. From GPS navigation to farming to satellite television, humans rely on satellites to make our lives better. Unfortunately, once a satellite goes up into orbit there is little to no way to make unplanned repairs or changes. If a solar array for a communications antenna fails to deploy, it’s stuck for good. If a satellite turns out to be potentially useful beyond its planned service life, which happens fairly often, there is no way to refuel it to keep it parked in a useful orbit once it has used up its onboard fuel supply. The Defense Advanced Projects Research Agency, (DARPA) is collaborating with NASA to develop new robotic helper satellites. The satellites would tend to other satellites in geosynchronous orbit, roughly 22,000 miles above the surface of the Earth. As The Washington Post explains, Orbital ATK is working on a satellite that attaches itself to another satellite to provide a new source of thurst. NASA plans to refuel Landsat 7, a Earth observation satellite launched in 1999, by 2021. There is no plan on the part of the U.S. government to use service satellites in an offensive role, but their usefulness as such is readily apparent. Like many technologies, service satellites would be a double-edged sword. The desire, and perhaps necessity of the need to go after another country’s satellites is inevitable so long as satellites retain their importance to national security. The challenge is to avoid a war in which either side could use them.